While going through my very own web site, runeman.org I noticed that the Google Groups Logo was no longer showing. The old graphic had linked to the mailing list associated with this MOSSSIG WordPress site. That was unacceptable, of course. A new logo was necessary. Here it is. What do you think? The logo was done using the fantastic open source Inkscape software. Have you used it? Hey, you know about the mailing list/forum, don’t you? You want to discuss using open source software with other educators, don’t you? You crave the chance to be a part of the in crowd, right? 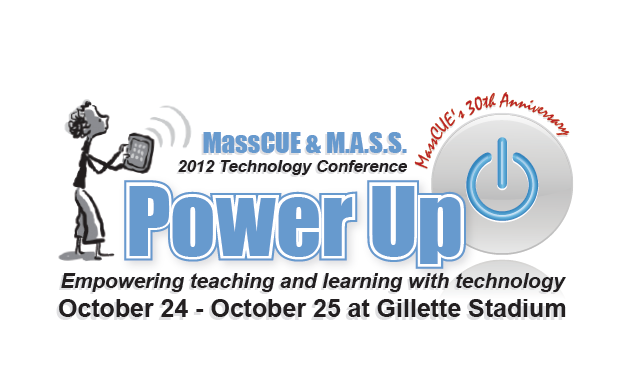 Oh, and the annual MassCUE conference was Wednesday and Thursday this week. I got the chance to see several friends while working at the MassCUE information table. Dave Laroche made the effort to visit for a while, taking time out from seeing all the great presentations over the two days event. If you got the chance to go to the conference, let the rest of us know what you saw and what your reactions are. Comments to any post here are always welcome. Ada Lovelace, the first recognized programmer, is honored today. The KDE Community is sponsoring many tutorials in her honor. What are you doing to celebrate in your school? The title of this post uses a weighted font called OpenDyslexic. Dyslexia is a condition suffered by many people. Those who have dyslexia have trouble reading, in part because their minds flip the letters over. The whole dyslexic problem isn’t that simple, but research has shown that one factor which causes the flip is the style of text. Research has also shown that some of the effects can be minimized when the text is visually weighted, making the letters appear “heavier” at the bottom. Dyslexic readers can use the weighted letters to help them keep themselves from flipping. The OpenDyslexic font is the creation of Abelardo Gonzales. The font has been released using a Creative Commons Attribution 3.0 license. The beauty of that license is that it allows very broad ability to use the font as long as you give Mr. Gonzales the credit for creating the font. It is also appropriate to link to the OpenDyslexic Web site. Combining this font with Open Educational Resources (OER) might help many students to minimize their reading difficulties. If educators who are using and creating OER materials also provide a version printed with OpenDyslexic, they’ll potentially better engage the dyslexic students in their classes. That’s a real plus. Please try it out. Let me know. Leave a comment of your students’ experiences. Here’s a story A Dream of Armageddon by H.G. Wells that is done using OpenDyslexic. Update: Read the reaction to the the font by a person with dyslexia. For the fun of it, take a look at this post done with a Web font implementation of the OpenDyslexic font. Ask your dyslexic students to give it a try as a quick test to see if the font is suitable for your classroom. Update: A Special Education teacher who teaches half his classes in Spanish asked whether the font had accents for characters like the enyay ( ñ ). The good news is, it does.